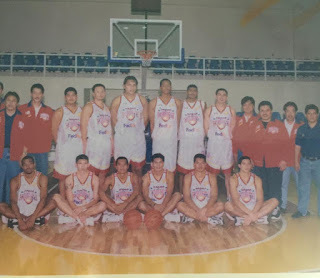 The Official Online of the Metropolitan Basketball Association (MBA), a professional basketball league in the Philippines that ran from March 7, 1998 to July 26, 2002. Bonel Balingit, Vilmer Banares, Omanzie Rodriguez, Philip Newton, Chris Calaguio, Chito Victolero, Macky de Joya, Rafi Reavis and others. Together with coach Philip Cesar and former San Juan City Mayor (now then senator) Jinggoy Estrada. The 2000 MBA National Champions. Angelo Velasco of the Socsargen Marlins. Sunny Margate of the Laguna Lakers. Cebu Gems (1999, team photo).